It’s been rumored before, but Microsoft has dropped the first official word that it’s working on Windows 8 tablets smaller than 10 inches. In a call with investors about the company’s latest earnings report, Microsoft Corporation (NASDAQ:MSFT) CFO Peter Klein said small-screen Windows tablets were in the works. Klein said the software giant was working with its manufacturer partners to develop “a new suite of small touch devices powered by Windows” at “competitive price points,” The Verge reported. He didn’t elaborate on details, and neither did Microsoft spokespeople. Microsoft Chief Financial Officer Peter Klein is leaving at the end of June after 3-1/2 years in the post, as the world’s biggest software company struggles with sharply declining personal computer sales and a lukewarm reception for the new Windows 8 operating system. The 11-year Microsoft Corporation (NASDAQ:MSFT) veteran becomes the latest in a line of top-level executives to leave the company, following Windows head Steven Sinofsky last November. Some have questioned whether Chief Executive Steve Ballmer is still the right leader for Microsoft, whose shares have remained essentially flat for the last decade. Microsoft said a new CFO would be named in the next few weeks from within its ranks. Microsoft Corp. (MSFT) and International Business Machines Corp. (NYSE:IBM), two architects of the U.S. computer industry, are feeling the pain as consumers and businesses flock to mobile devices. Microsoft, the world’s largest software company, yesterday reported no growth in Windows sales in its latest quarter, after accounting for upgrades sold in the past. International Business Machines Corp. (NYSE:IBM) is struggling to boost hardware sales as more companies let employees use their own devices at work. Meanwhile Google Inc (NASDAQ:GOOG), which is expanding beyond its search-engine roots with Android software for smartphones and tablets, is keeping pace with the shift, reporting better-than-projected profits from mobile advertising. Microsoft has finally, cautiously, given a few statistics about how well its Office 365 software-as-a-service cloud is doing. Office 365 is Microsoft’s cloud version of its popular Microsoft Office suite aimed at businesses. It is also its answer to Google Apps. Google Inc (NASDAQ:GOOG) has big, aggressive plans for Apps. In December, Amit Singh, head of Google’s Enterprise unit said that Google plans to grab the 90% of Microsoft Office users who don’t need the advanced features of Office. 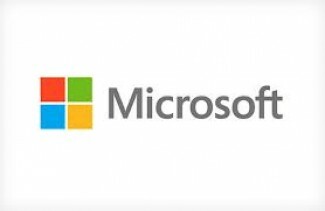 How, exactly, did Microsoft Corporation (NASDAQ:MSFT) do it? It’s like a magician’s trick. The raw numbers for Windows revenue in Microsoft’s Windows division were very substantially up – from $4.633bn (£3bn) in the first three months of 2012, to $5.7bn in the same period this year. That’s a 24% increase, at a time when we’ve been hearing that PC sales have slumped. How has Microsoft done this? Has Steve Ballmer invented antigravity? Sadly, no (though it would make a great new business line). Make no mistake: Windows is still incredibly important to Microsoft. In this quarter it generated 27% of revenues, and 45% of profits. But how is it doing so well when the PC business is so dismal? Apple Inc. (AAPL), Cirrus Logic, Inc. (CRUS): Why Did My Stock Just Die? Apple Tablet Sales: Apple Can Rely on PC and Tablet Sales in the Future, Right... Apple Inc. (AAPL): Calling Bottom Is Dangerous Comcast Corporation (CMCSA), Google Inc (GOOG): Will Twitter Become the Next... What to Expect of Apple Inc. (AAPL)? Advanced Micro Devices, Inc. (AMD): Can Game Consoles Save It?